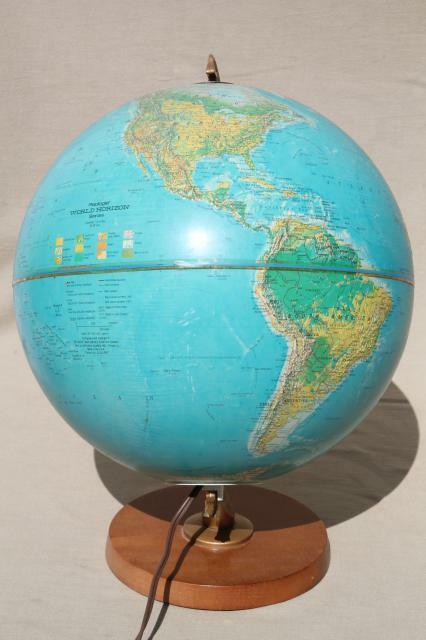 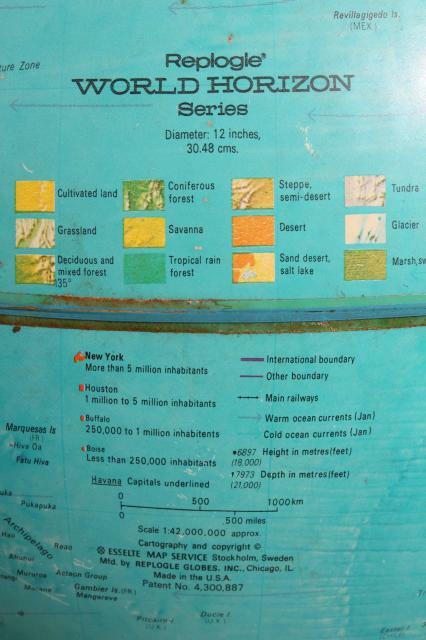 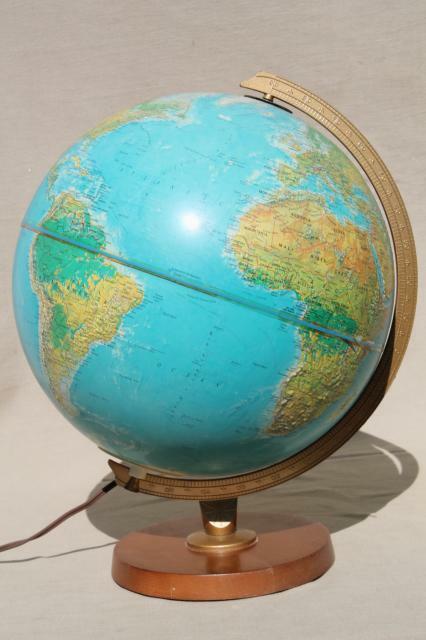 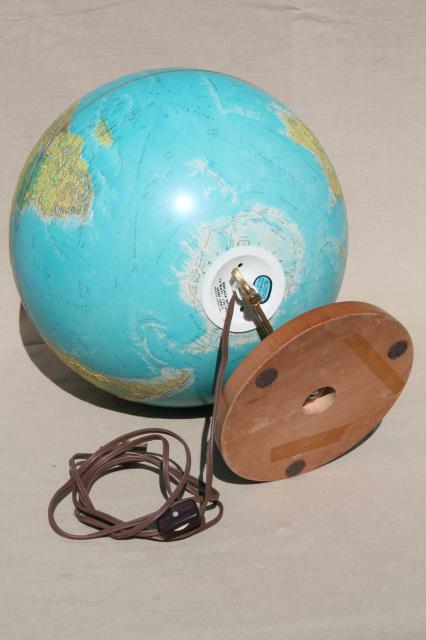 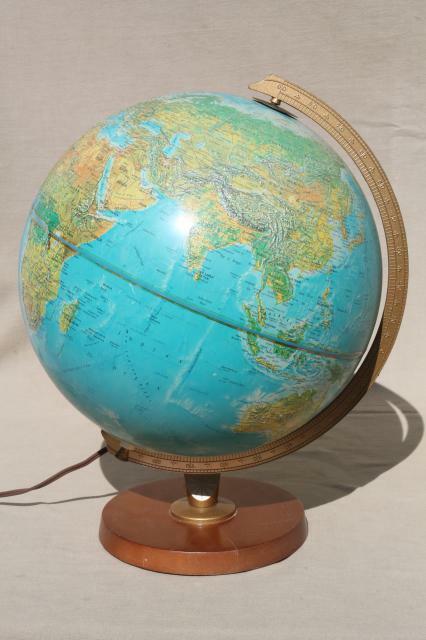 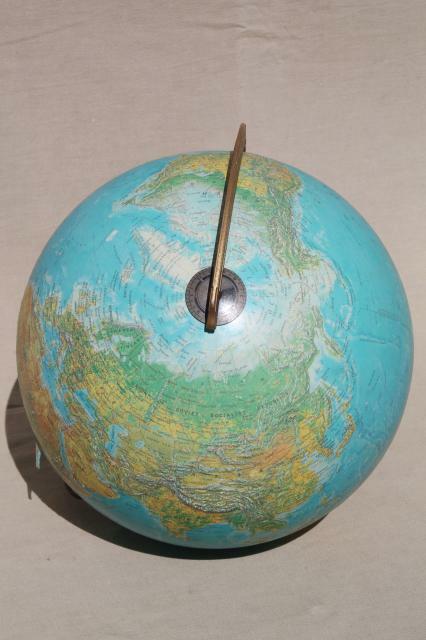 Lighted 'World Horizons' Replogle globe, 12" in diameter x 16" tall overall. 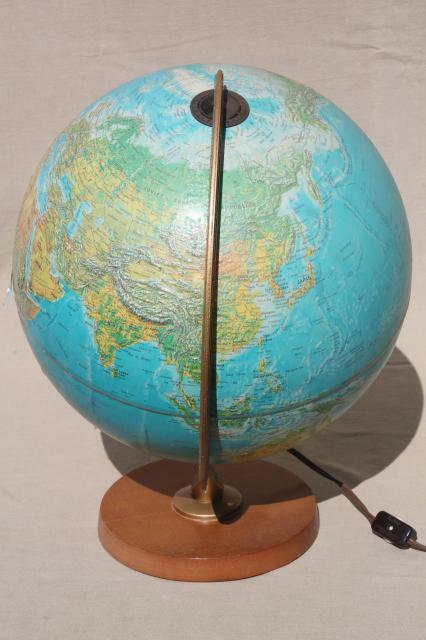 This doesn't have a date on it that we could find, probably 60s or 70s vintage? 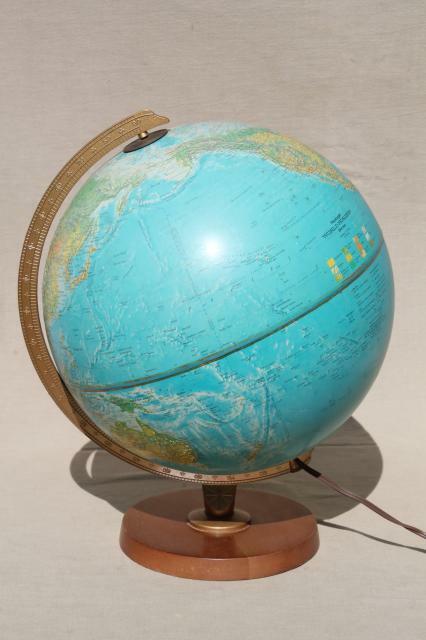 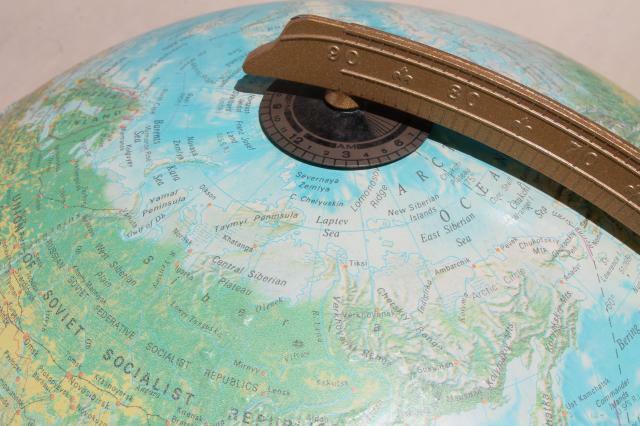 There's no tape at the equator, but aside from that, this looks clean and good overall. 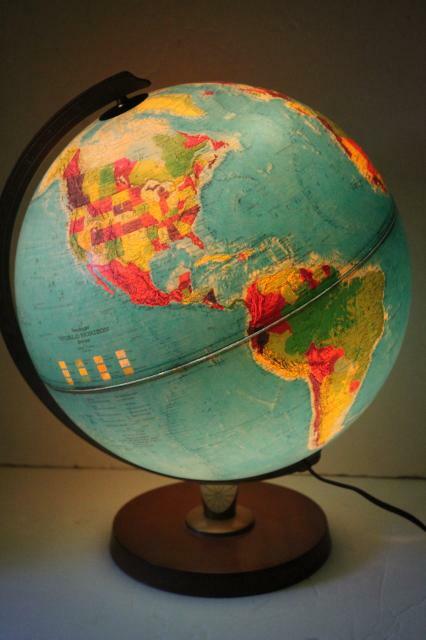 The light works fine.